How can you curb your craving for junk foods and sweets? How do you stop craving food when you are not even hungry? If these questions are on your mind right now, this post is just what you need to read. Just like alcohol and nicotine cravings, food cravings are tough to deal with. However, there are different ways to curb your hunger pangs and cravings – right at home. Scroll down to learn more. 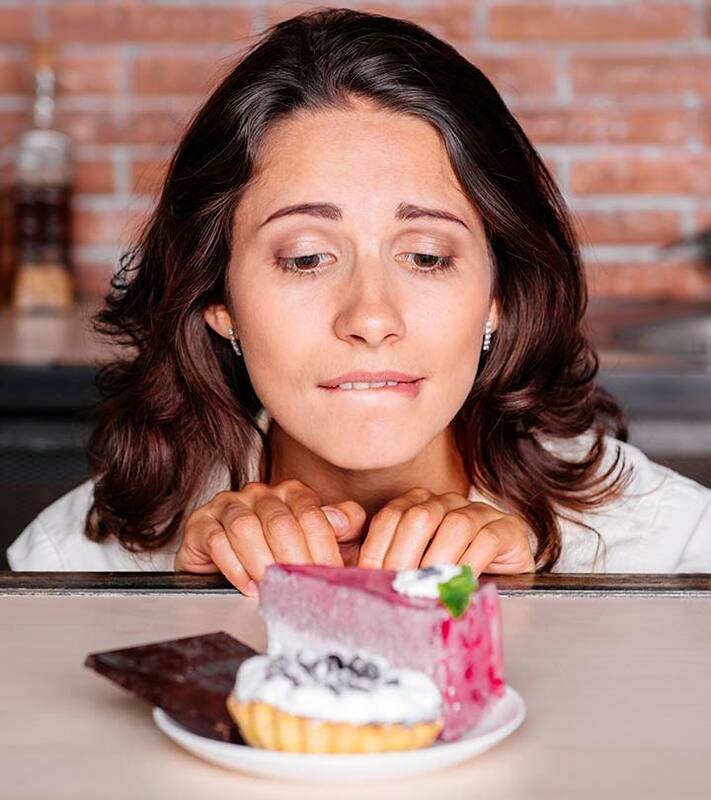 Food cravings can be defined as an intense and uncontrollable desire to eat specific foods. This desire can be so strong that the hunger of the person who is experiencing a craving will not be satisfied unless they get the food they have been craving for. Food cravings usually only last for 3-5 minutes. However, each individual experiences cravings in a different way than the others. Most often than not, these cravings are for junk/processed foods that are high in sugar and/or fat content. What could be causing these food cravings? Let’s find out. Certain regions of the brain that control memory and feelings of reward and pleasure are responsible for triggering food cravings. Cravings can also be selective and non-selective. Selective cravings are usually for a personal favorite of an individual – like their favorite ice cream or a burger from their favorite joint. Nonselective cravings are a desire to eat anything and everything. They could be resulting from hunger pangs or from just feeling really thirsty. 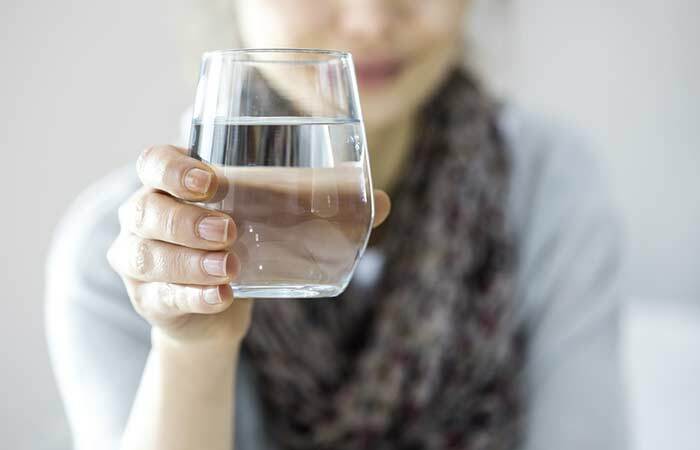 Drinking some water usually calms down the intense feeling of nonselective food cravings. In some cases, food cravings can also be caused due to a nutrient that your body lacks. Here, the idea is that your body craves for certain foods because it is deficient in certain nutrients. When you consume sugar or anything sweet, the sugar that enters your body blocks the absorption of certain minerals like calcium and magnesium. A deficiency of these micronutrients leads you to crave for more sugary foods (1). Hunger can also arise from varying needs. There is physical hunger, and then there is psychological/emotional hunger. Given below are some of the main differences between the two. It is physically felt in your stomach. A growling hunger pang that tends to come in waves. You are open to eating many foods, including less palatable ones. It is satisfied with a little/normal amount of food. It starts all of a sudden. It is usually in the head and can surface due to stress. It is unnecessary and unceasing. You are fixated on certain foods of specific taste or texture. This type of hunger is hard to satisfy, and you may continue to eat until you are uncomfortably full. As we already mentioned, food cravings can also result from nutrient deficiencies. 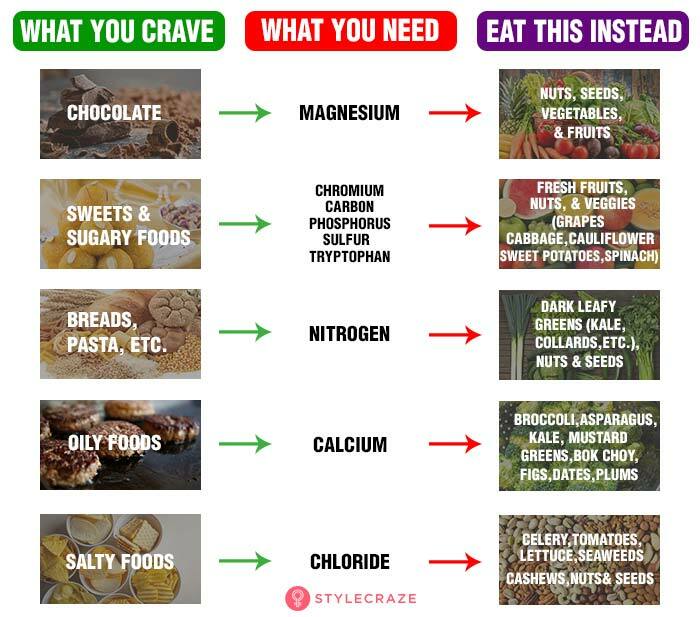 We have prepared a chart that can help you replace your cravings for some unhealthy food with healthier options. Here are some healthy alternatives for foods that people crave the most! Potato Chips – Replace this salty snack with foods that are higher in unsaturated (healthy) fats and proteins like cashew nuts and walnuts. Popcorn is another healthy replacement for potato chips. Chocolate – Cravings for chocolate could be an indication that your body is deficient in magnesium. Therefore, you can consume magnesium-rich foods like almonds. If nothing seems to work, you can have a little milk-free dark chocolate that is made up of 70% cocoa. Candy/Pastries – Consume fresh whole fruits like peaches, melon, and cherries. Dried fruits like prunes and raisins will also help. Cheese – You can deal with cheese cravings by consuming low-fat and low-sodium cheese. 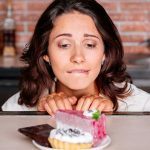 For those who are unsuccessfully trying to maintain a healthy weight, food cravings can mean trouble. They can also take a toll on your health in the long run. 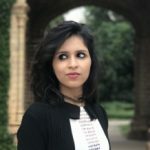 If you are looking for ways to combat this borderline unhealthy pleasure, here are some ways that can help. If you feel hungry right after a heavy meal, it might not be your hunger that is causing that sudden craving for food. It could be thirst. Both hunger and thirst can produce very similar sensations in your mind. Hence, drinking enough water and making sure that your body is well hydrated is key to steer clear of unwanted cravings (2). A healthy diet that consists of lean protein sources like lean meat, shellfish, and seafood can also help in reducing unwanted cravings. You can get most of your calories from protein sources of food to reduce your cravings, including the sudden need for nighttime snacking (3). Stress can also cause unwanted episodes of binge eating – which can lead to obesity (4). So, keep your stress at bay by practicing yoga and meditation or seek counseling to control your food cravings. Insufficient sleep is associated with increased food intake as well as unwanted weight gain (5). Getting enough sleep is another way that can help you control your cravings indirectly. 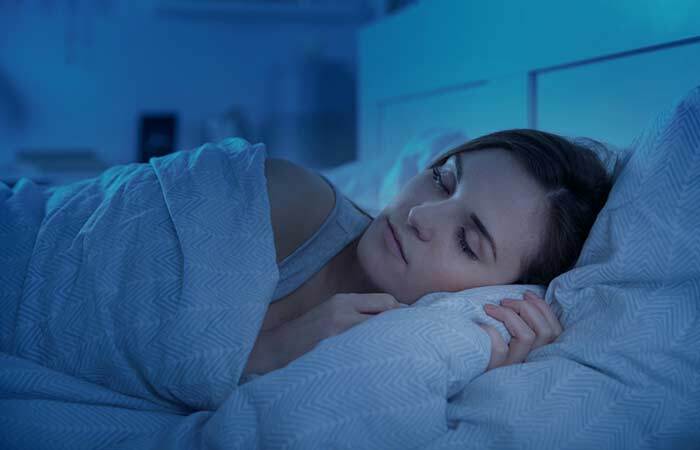 A good night’s sleep can help reduce cortisol (stress hormone) levels, which, in turn, can curb your food cravings. 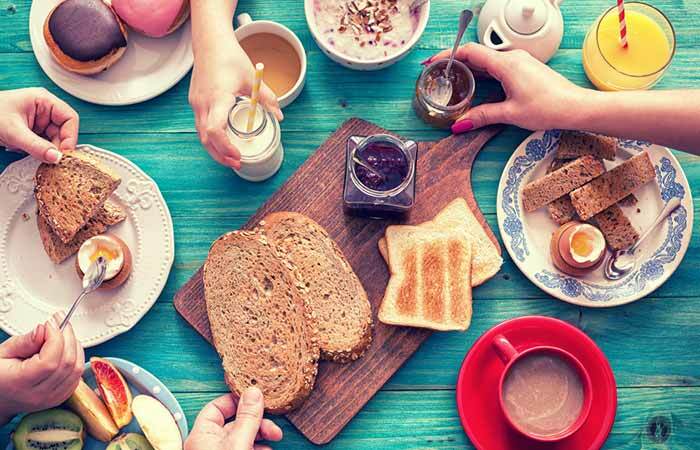 Having proper meals (without skipping breakfast, lunch, or dinner) can also help battle frequent hunger pangs and unhealthy cravings. Have small portions of meals spread along the day. This can help you maintain a healthy appetite while also preventing unwanted weight gain (6). Chewing gum is a natural way that can help stop your food cravings. Many individuals have reported that chewing gum helped reduce their food cravings and snacking habits (7). This, in turn, can prevent the unnecessary weight gain due to snacking and help you maintain a healthy weight. You can follow these tips (individually or in combination) to steer clear of food cravings. 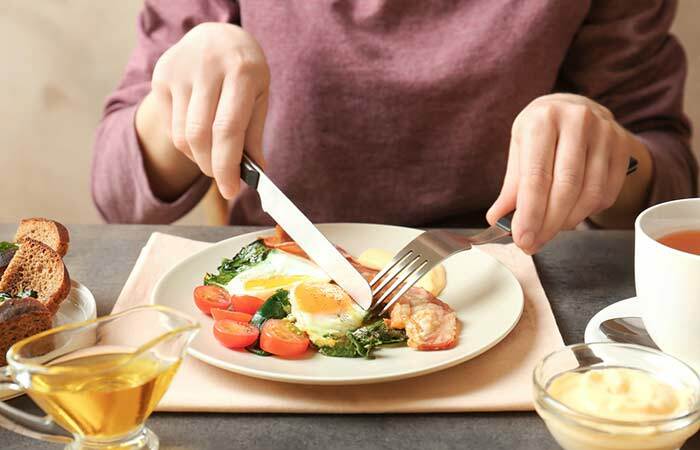 Other than this, all you have to think of is your growing waist size and the increased health risks associated with it to curb those never-ending cravings. Was this post helpful? Let us know in the comments section below.